I’ve imagined lots of ways to get famous. The best of all would be if I took a game-winning shot in the NBA finals. But I wouldn’t mind being a magician who slices people in half on America’s Got Talent. I’d like to set the Guinness World Record for burping the Chinese alphabet. I’ve seen lots of YouTube videos. I know what it takes to become famous. I never, ever, imagined getting famous by playing the violin at the Brisk River Elementary School fall concert. The concert program booklet calls it a “memorable night of musical escape.” The sweaty audience slumped on rows of metal folding chairs looks ready to escape. It feels like three hundred degrees in the school cafeteria. But “memorable”? I’m sure everyone will forget tonight as soon as they rush out the doors to the parking lot. Ms. Sterling is waving her baton like she’s conducting the National Symphony Orchestra, not the fourth-grade orchestra. I’m sitting on the second level of the stage, melting in a white shirt, black pants, and purple clip-on bow tie. It’s extra hot because I’m wearing my basketball training jersey and shorts underneath. I ran over from the gym right after practice. And I couldn’t find my dress shoes this morning, so I’m in my sneakers. My basketball and empty water bottle are tucked under my chair. Our third song goes perfectly. Ms. Sterling raises her hands, soaking in the applause. Next is our finale, “Tribal Lament.” It ends with a cool drum solo by Antonio. I raise my violin to my chin. Abigail, who’s sitting next to me, starts to whisper. “Zayd! I need more room.” She sticks her bow out so far that it almost touches my face. I scoot my chair to the right a few inches and start playing. “I need more room!” Abigail hisses. It looks like Abigail has plenty of room, but she’s glaring at me. So I scoot over again, way over to the edge of the riser. I shift in my seat, still playing, and then—oh no! My chair tips over and I’m falling. AHHHHH! I see my life flashing before my eyes. Wait, no. Phew. It’s the flashes of everyone’s cameras. And then, CRASH! I land smack in the middle of the drums, barely missing Antonio. My chair clangs to the floor somewhere behind me. WHACK! My basketball smacks me on the head before bouncing into the audience. All the music stops. I hear gasps from the crowd. Then there’s nothing but silence. Ms. Sterling rushes over to me, her face pale. “Zayd! Are you okay? Can you move?” she shrieks. I nod, take her hand, and slowly stand up. My shirt is untucked and a little torn, and my bright red training jersey is peeking through. My bow tie is missing. But nothing seems broken, especially not my playing arms. For playing basketball, I mean. I can’t afford to be injured. My league has tryouts coming up in just four weeks, and I have to make the gold team. Ms. Sterling looks like she’s about to cry. I can feel everyone’s eyes fixed on me. And then, suddenly, I understand what “the show must go on” means. I face the audience and take an extra-deep bow. Everyone cheers, whistles, and applauds. And then I actually get . . . a STANDING OVATION! I bow again and can’t help but laugh with the crowd. I rub my head where the basketball hit me, and someone from the audience throws it back to me. As I climb back onto the risers, Abigail helps me set up my chair. If you had told me I was going to be famous today, I wouldn’t have believed it. My older sister Zara posted a video of my fall on YouTube. It’s already been viewed forty thousand times. In six hours! I can only imagine how famous I’ll be by tomorrow. And in the end, this concert might actually be memorable after all. 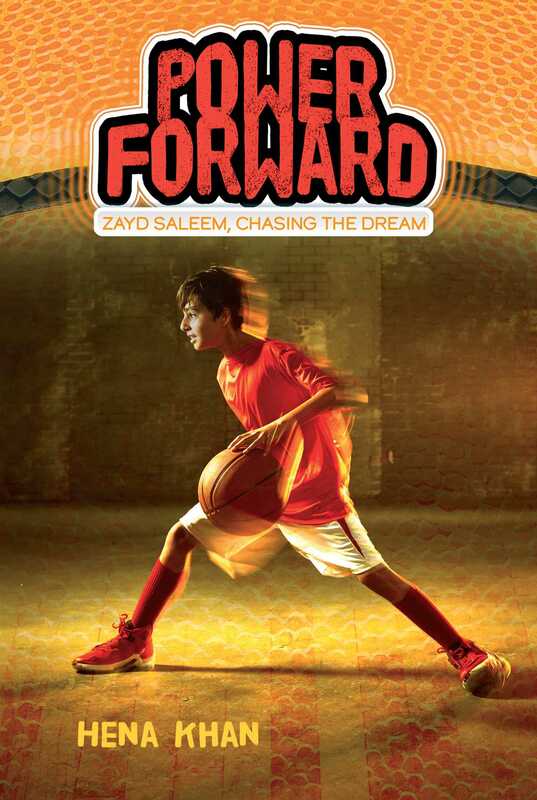 Fourth grader Zayd Saleem is not just going to be a professional basketball player. He’s going to be a star—the first Pakistani-American kid to make it to the NBA. However, life can get complicated, especially when your dreams are different from the plans your family has for you. Zayd has a loving and close-knit family, but what his parents want him to do (and eat) is not always the same as what he wants for himself. After his favorite uncle, Jamal Mamoo, helps him learn to stand up for himself, it’s his turn to be a leader and help his best friend Adam and Uncle Jamal to follow their dreams as well. 1. Make a family tree for Zayd, including a description of each member of his family. Can you relate to his relationships with his mom, dad, sister, uncle, or grandparents? How is his family similar to yours? How is it different? 2. How does Zayd respond to stress and anxiety? Do you think there is anything that seems to help him when he is feeling anxious? What do you do when you are anxious or worried about something? 3. Why do you think Zayd’s parents want him to continue to play the violin? Have your parents ever wanted you to do something that you didn’t want to do? How did you handle it? 4. How does Zayd initially deal with the conflict between his desire to focus on earning a spot on the gold team and his parents’ wish for him to pursue orchestra? How does his mother find out that he has stopped going to orchestra practice? What lesson does he learn from his mistake? 5. Zayd has a very close relationship with his uncle, Jamal Mamoo. How does Jamal encourage Zayd? Why is it important to have an adult in your life whom you can trust? 6. Zayd comes from a Pakistani American family. What cultural traditions do they have that are different and similar from your family’s traditions? 7. Three generations of the Saleem family are featured in these two books: grandparents, parents, and children (Zayd and Zara). Do you see any differences in each generation’s habits, styles, and preferences? Why might that be? 8. Why does Zayd’s mother ask him to keep a food diary? What does he learn about himself as a result of keeping the diary? Have you ever thought about the way different foods make you feel? 9. Why does Zayd choose John Wall to research for his role model project? What qualities do you think make someone a good role model? 10. How does Zayd’s family show that they support one another? Why do you think Zayd resisted telling his parents how he really felt about basketball and orchestra? 11. The book titles Power Forward and On Point are phrases that have both literal meanings and figurative connotations. How does each title reflect each book’s message? The big ideas or messages in books are called themes. Can you relate the title of each book to its theme? 12. The first line of On Point states: “Sometimes when you finally get something you really want, it ends up not being what you hoped it would be.” Why does Zayd say this? Have you ever felt this way? 13. What does playing basketball teach Zayd about being a good teammate? What is your favorite sport or activity? What can you do to become a better teammate, classmate, or friend? 14. Why is planning the wedding stressful for Jamal Mamoo and Nadia Auntie? What advice does Zayd give them? 15. What causes conflict in Zayd and Adam’s relationship? How do they resolve this conflict? Have you ever argued with a friend? How did you resolve your differences? 16. Why is Zayd nervous about filling Adam’s position on the basketball team? 17. What are important qualities in a leader? Do you think Zayd will be a good team leader? 18. When we talk about conflict in literature, we describe it as either internal (an emotional or mental conflict inside a character) or external. What types of conflict does Zayd face in these books? Are all of his conflicts resolved? 19. In fiction, we use the term dynamic to describe a character that changes. By the end of On Point, how has Zayd changed? 1. Zayd’s family is from Pakistan. What did you learn about Pakistani culture from Power Forward and On Point? 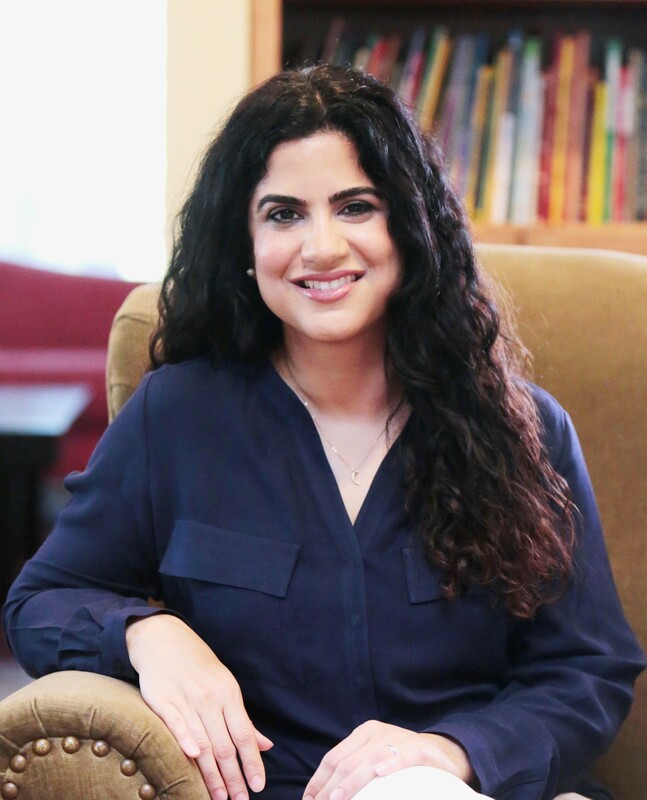 After reading Hena Khan’s books, make a list of questions you have about Pakistan and research the answers to those questions. 2. We all have cultural and family traditions that are important parts of our identities. How much do you know about your own cultural heritage? Prepare an informative speech, presentation, or video to teach your classmates about one of your family’s traditions. 3. Food plays a big part in Zayd’s family members’ lives, especially in their celebrations. Have you ever tried Pakistani food? Choose one of the foods that Zayd mentions and decide how best to try it; you could re-create it from a recipe, visit a Pakistani restaurant, or find it in an international food market. 4. Who is your role model? Just as Zayd researches John Wall for his school project, research the life of someone you admire. After learning more about them, are they still your role model? Which of their traits and accomplishments do you value most? Did you learn anything about them that surprised you? 5. How would you describe Zayd and his experiences in Power Forward and On Point to other readers? Design a poster or a storyboard for a book trailer that you feel captures Zayd’s personality and how you felt while reading these books. Think about what makes a poster or trailer so compelling, including images, taglines, and a color scheme. 6. Being a successful athlete often means learning how to function well on a team. As a class, brainstorm some qualities you find important in a teammate or a coach. Then choose a partner and roleplay a conversation between two teammates or between an athlete and a coach in which both display some of these qualities; now, roleplay the same scenario again where one person does not display any of these qualities. How do the dynamics and end results of the conversations change? What do you think are the most challenging and rewarding elements of being a member of a sports team? Where else outside of a sports team might you need to work closely with others to accomplish a goal?